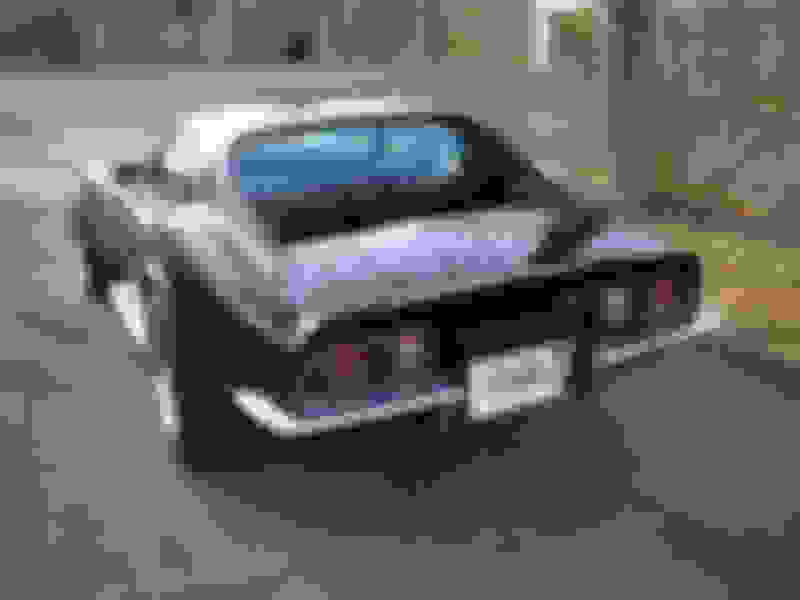 I am almost positive a few years ago this very car the OP is writing about was discussed here on the forum. A forum member bought the car after it was painted black and was concerned about the tank sticker. At the time, the tank sticker still had some letters visible ( and I believe the sticker is real). It was determined in that thread that it was originally a white car. I think I have a pic of the tank sheet from that thread. I will look through the files later. Ed I believe the tank build sheet is original as welll. The area that states color has damage and some kind of alteration. It happens to be the only part of the sheet that is damaged. I cant seem to find its vin in the c3registry. Again it’s a shame that someone did all that work into it and is now probably being misrepresented. I am not sure if the seller knows or not. As always do your homework. Last edited by general ike; 01-11-2019 at 11:04 AM. RVZIO agreed 100%, although I have a love have relationship with black cars, but that is another story. The issue here, and I will add if true, is the seller is portraying the car as a correct, from the factory tuxedo black car, which it appears not to be. To some people that is important and has or detracts a lot of value. It is a beautiful looking black car just probably not from GM and it the trim tag is truly a repro then it is deceiving and if the seller wants to be honest should be disclosed. Also the state of the build sheet appears to be a attempt to hide the original color of the car. I for one don't like games when it comes down to the buying and selling of these cars. I am looking for a similar car and my eyes light up when it popped up, way out of my price range but one can dream. I looked at the build sheet and it seemed odd were the color was written so I asked the seller for the trim tag which he immediately sent and that looked odd as well so I was instantly out. My question is if all this is going on what else could be? Lots of uninformed buyers out there, now should they know better, yes and it is buyer be aware???? Not sure!!! What is it worth, I think that is a personal decision and no two people will agree and we could fill up the forum with pages debating it!!!!! Last edited by general ike; 01-30-2019 at 06:33 PM. I am sure we can all agree that when VB stated he wanted a "real one" he was meaning an "original from the GM factory black code 900" car. The trim tag for car vin 713210 is absolutely 100% repro. I can stake my reputation on that one. The easiest way to tell is by looking at the letter C in Chevrolet. The repro tags that this particular company makes has a very rounded letter C as opposed to the originals that have a more pointy top and bottom. This tag was made by the company called Trimtags. Of course there are other various problems with the fonts with the tag but that's the easiest and quickest way for me to tell. 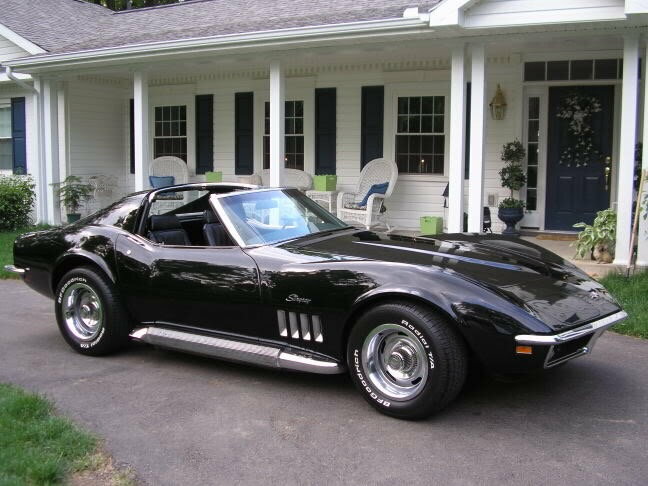 Back in the day I had black/black 69 roadster, base engine automatic A/C and side pipes! Bought it from a original owner young lady, came with original paperwork. She said she ordered it with side pipes b/c she loved the look. I did put a tan top on it. 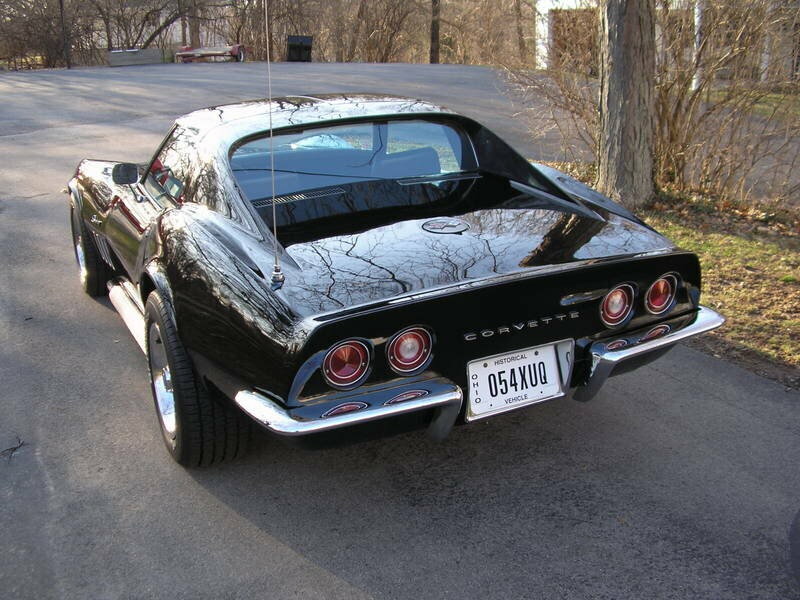 ed427vette,I agree with you the tank sticker if factory production. That is why the color has been removed on it. I am fortunate to own a Tuxedo Black 69 coupe and it has the correct 900 trim tag. It has the original paint and is completely stock. I have owned the car since June of 1970. Great car, and awesome that you have owned it so long! I have the dealer invoice for 194379S709025 Tuxedo black / Saddle leather 400hp 4-speed sold new in Boston Mass. where I used to work I grabbed a lot of Corvette invoices when they closed up it all went in the dumpster. Ralph, could you post this and any other VIN- marked invoices you might have in the ORPHAN VIN-stamped Parts Sticky thread in the General section? This is where we try to match up this stuff with the original cars. The int and color are codes stamped off center kind of low on the trim tag. tzeller beautiful looking 69 you have there. Here is a 69 Trim Tag from the same build date. Repo is left, original on right. The rivets are not correct obviously, but also the font on the repo it too crisp and the placement is incorrect. 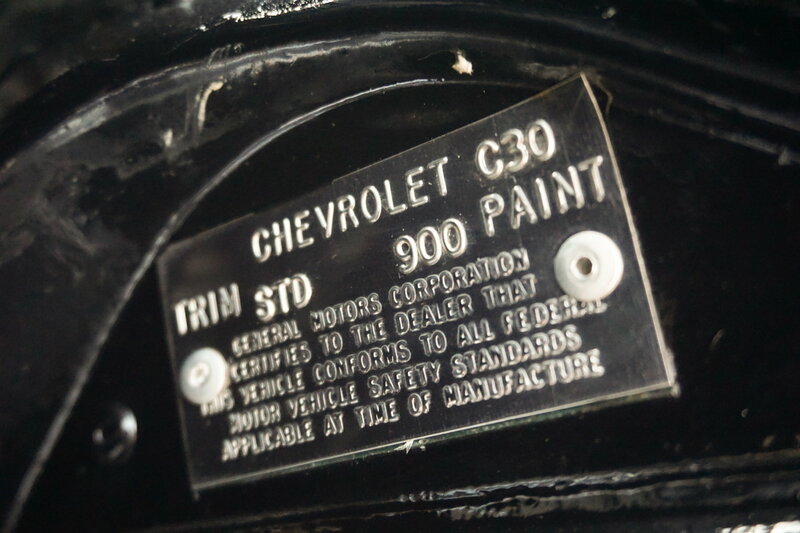 Also, original trim tags tend to have a "Ghost" outline around the date, trim and paint numbers. You can't really go by placement of the stampings with regard to positioning of the actual codes (date, trim and paint codes NOT the words). They can vary a great deal. But if you look at the C in Chevrolet you will see that the original has a pointed top and bottom just like the letter O in Chevrolet. But the repro letter C is very rounded. Also the 9 is easy to pick out as wrong. Unfortunately those pics do not make it very easy to compare due to the angle. The "ghost' outline is a good way to tell but if you know what you are doing that can be faked too. By the way, the tag you showed has a red interior with LeMans blue paint? I've seen that COPO combo before but its very unusual. Last edited by ed427vette; 01-12-2019 at 09:17 PM. Last edited by general ike; 01-28-2019 at 06:02 PM. What a shame! Anybody that knows these cars and anyone who would be serious about buying this car will of course be checking the tank sticker and trim tag carefully. Instead of having a really nice green 68 L71 with a nice tank sticker he now has a fake trimmed car with a ruined tank sticker.